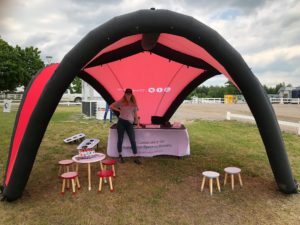 KidsZone has been created to provide the equestrian community with an exciting, safe, interactive play place for children, friends, and families. Ontario Equestrian (OE) proudly presents KidsZone, a new interactive program for young equestrians. Hosted at Caledon Equestrian Park (CEP),KidsZone is an area for kids to experience, learn and play. There will be multiple activities for children to engage in including a horseless show jumping course and the newly launched Rookie Rider program. Rookie Rider will allow children to learn the fundamentals of riding by testing their physical literacy skills on a barrel prior to ever mounting a horse. Ontario Equestrian and Caledon Equestrian Park pride themselves in educating not only young equestrians, but the surrounding community as well. KidsZone will provide children with a place to play and learn, and it will also provide a place for parents to observe a horse show and ask any questions they may have. Ontario Equestrian’s focus in 2018 is to encourage growth and learning. KidsZone will provide the public with a gateway to understanding the equine industry. At Ontario Equestrian (OE) we believe in the importance of horses and horse sport in Ontario. As the designated Provincial Sport Organization, with over 22,000 members OE is focused on enhancing the experience for our members. Whether you are a first-time rider or a seasoned competitor, OE strives to support and provide our members with safe and interactive programs for both equine and human athletes. By joining our equestrian community our members are able to gain access to innovative rider-centered programming, provincial and national certification for riders, coaches and facilitators. 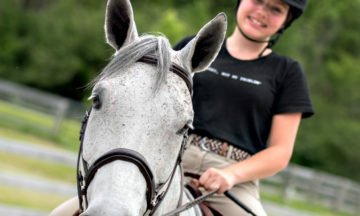 Caledon Equestrian Park (CEP) is known as the equestrian jewel of eastern Canada located in Palgrave, Ontario, hosting over 16 prestigious equestrian events annually. CEP is a first-class equestrian event facility accommodating space for over 1000 horses, 7 international riding rings and is home to the largest indoor riding arena in Canada. In 2015, CEP was the official venue for equestrian sports at the Pan Am Games in Toronto and continues to be a successful park and international venue operating year-round.